Fig. 3-2-2-1 shows the number of Boryokudan members, etc. 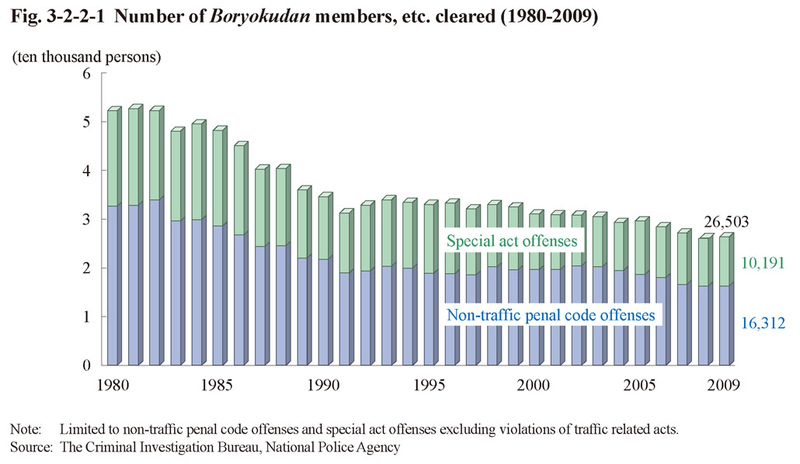 cleared (limited to non-traffic penal code offenses and special act offenses excluding violations of traffic related acts; hereinafter the same in this subsection) over the last 30 years. The number remained within the range of 30-40 thousand from 1989 to 2003 but then fell below 30,000 from 2004, and was 26,503 in 2009 (up 1.7% from the previous year). Table 3-2-2-2 shows the number of Boryokudan members, etc. cleared and its percentage to total persons cleared in 2009 by type of offense. The number of Boryokudan members, etc. cleared was the largest for Stimulants Control Act violations, followed by theft, injury, fraud, and extortion. The percentage of Boryokudan members, etc. 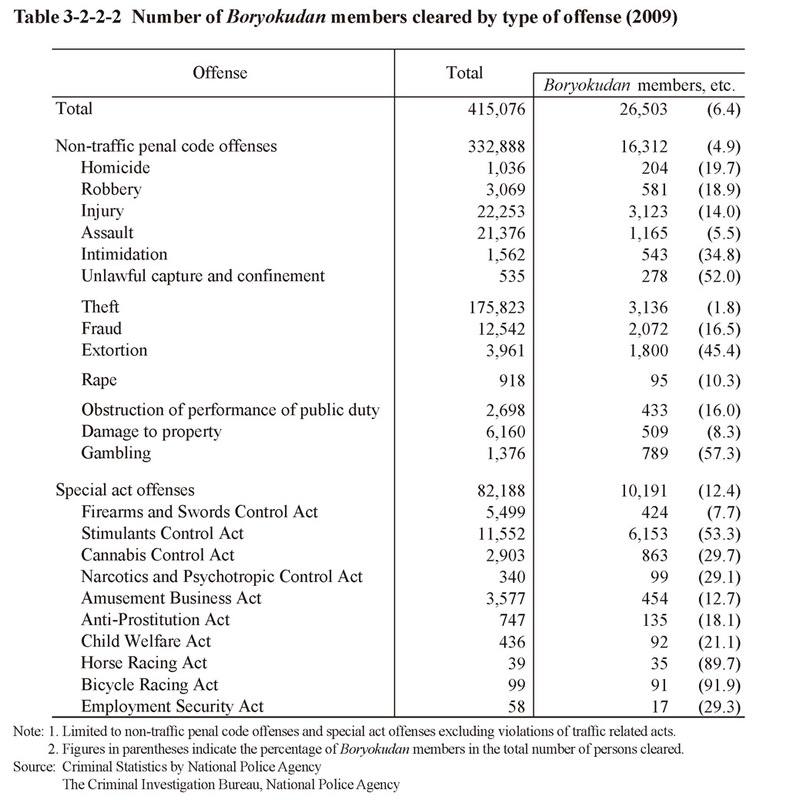 to total persons cleared was 6.4% for all offenses. 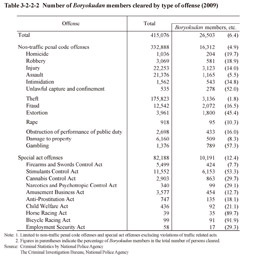 By type of offense, the percentages were high for gambling (57.3%), unlawful capture and confinement (52.0%), and extortion (45.4%) in non-traffic penal code offenses, and Bicycle Racing Act violations (91.9%), Horse Racing Act violations (89.7%), and Stimulants Control Act violations (53.3%) in special act offenses.